— “Oz,” a vaguely defined project written by Darren Lemke (“Shrek Forever After”) and with some “Twilight” producers attached, so there may well be vampires involved. — “Dorothy of Oz,” based on a chapter in a book by L. Frank Baum’s grandson, is a 3D musical with songs by Bryan Adams, with Lea Michele of “Glee” set to star. (Though, if you saw Michele busily auditioning for “Funny Girl” on the Tony Awards the other night, you might think she’s set her sights elsewhere.) This project, of the four, seems to be the closest to actually happening, but we’ll see. I feel better now. 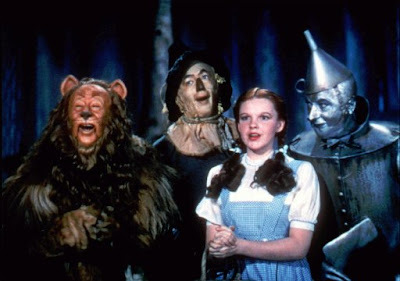 There’s no place like home — and, in this case, no movie like the original, ever.